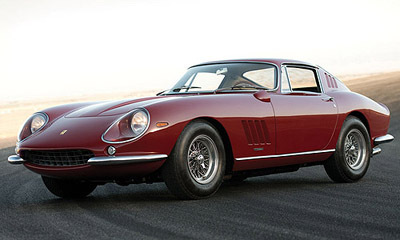 The legendary screen actor Steve McQueen's 1967 Ferrari 275 GTB/4 sold by RM Auctions on August 16, 2014 in Monterey, California. $10.175 million. Delivered new to Hollywood and motoring icon Steve McQueen on the set of Bullitt; owned by McQueen for more than four years. Subsequently owned by TV star Guy Williams, of Zorro and Lost in Space fame. 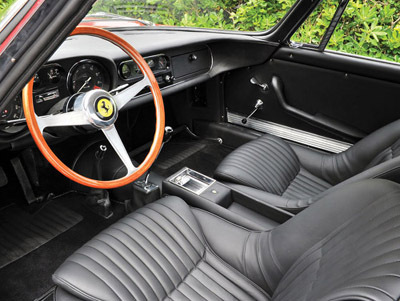 Restored by Ferrari Classiche to McQueen’s original specification; Classiche certified in the autumn of 2013. Currently owned by F1, Indy, and Le Mans racer Vern Schuppan. With its history confirmed by Ferrari, the car was proudly displayed by the Maranello company in its own museum exhibit, From Cinecittà to Hollywood. Steve McQueen: Hollywood legend, racing driver, and car connoisseur extraordinaire. The Cooler King and the King of Cool. Few, if any, movie stars are so inextricably linked with classic cars and bikes than the star of Bullitt, The Getaway, The Thomas Crown Affair, Le Mans, and the brilliant motorcycling documentary On Any Sunday. Of course, many of the movie industry’s leading actors in the 1950s and 1960s enjoyed the glamour that came with exotic motoring, but only a handful were the real deal when it came to being fanatical about cars. 300 bhp, 3,286 cc dual-overhead-camshaft-per-bank Colombo V-12 engine with six Weber carburetors, five-speed manual transmission, four-wheel upper and lower wishbone coil-spring independent suspension, and front and rear disc brakes. Wheelbase: 94.4 in. 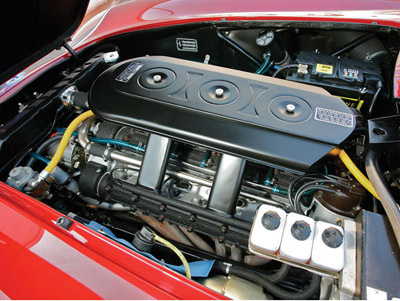 With 300 brake horsepower at 8,000 rpm from the 3,286-cubic centimeter V-12, the 275 GTB/4 was capable of 0–60 mph in 5.5 seconds and a top speed of 163 mph. 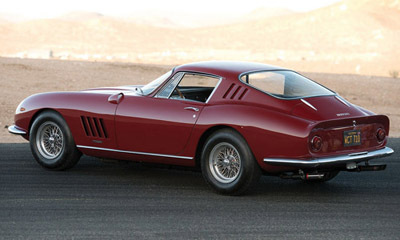 For many cognoscenti, the Ferrari 275 was the best looking of all Ferrari GTs in berlinetta form, which is attested by a roll call of such celebrity owners as James Coburn, George Harrison, Miles Davis, Eric Clapton, Clint Eastwood, and Peter Sellers. In 1964, it boasted Ferrari’s first transaxle and all-round independent suspension, but after just a couple of years, it was majorly updated and uprated. Significant developments included not just the introduction of the smoother and more powerful dry-sump, four-cam engine but also a redesigned transaxle and steadying torque tube.